By Amid Amidi | 03/19/2019 3:06 pm | Be the First to Comment! Nine years after the release of Toy Story 3 and 24 years after the release of the original Toy Story, Disney-Pixar is set to release Toy Story 4. 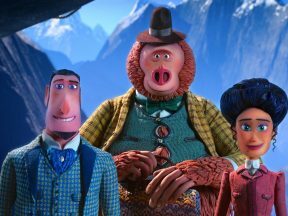 The first full-length trailer for the new installment was released this morning, and builds on the story of Forky, a new character introduced in an earlier teaser who will play a key role in the film. As we’ve pointed out earlier, Toy Story is the equivalent of Pixar ‘comfort food’ — you’ve eaten it many times before and you know exactly what it’s going to taste like, but that’s not going to prevent you from ordering it yet again on the restaurant menu. In the world of entertainment conglomerates, old reliables like Toy Story are essential for appeasing shareholders, and in theory, give studios breathing room to experiment with original ideas that aren’t guaranteed hits. 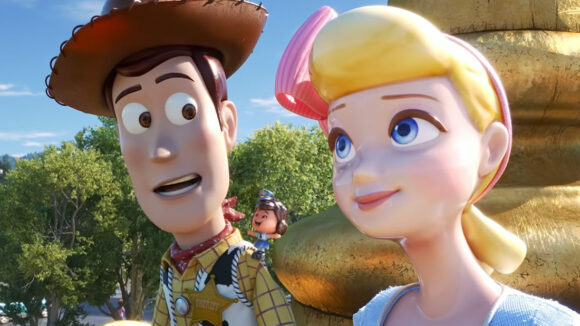 Toy Story 4 has traveled a bumpy path to completion, pushed back repeatedly from its original release date in 2017 to 2018, and again, to 2019. 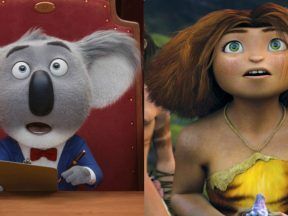 Along the way, key people have been replaced, including the film’s original director, John Lasseter, who lost the gig to Pixar story veteran Josh Cooley (screenplay, Inside Out; director, Riley’s First Date?). The directorial switch was made long before Lasseter was forced into a sabbatical at Disney and Pixar for sexual misconduct claims. Screenwriters Rashida Jones and Will McCormack also left the project in a very public split in November 2017, citing “creative and, more importantly, philosophical differences.” They’ve since been replaced by writer Stephany Folsom. And producer Galyn Susman was swapped out for Inside Out producer Jonas Rivera and Inside Out associate producer Mark Nielsen. Toy Story 4 will be released in the U.S. on June 21, 2019.